“I belief we have a special responsibility to minimize the environmental impact of each and every tour we undertake and we also have a huge responsibility in promoting local economy and share the well-being with how may ever need our help. “We run our business with the idea of “Think Local , Act Global”. 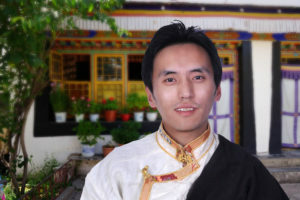 All our staff are local Tibetans, including myself. All of us are from different parts of Tibet. We can’t boast of how much we are benefitting local communities but we do make an effort to bring every yuan our clients spend in Tibet to locally owned shops and restaurants.